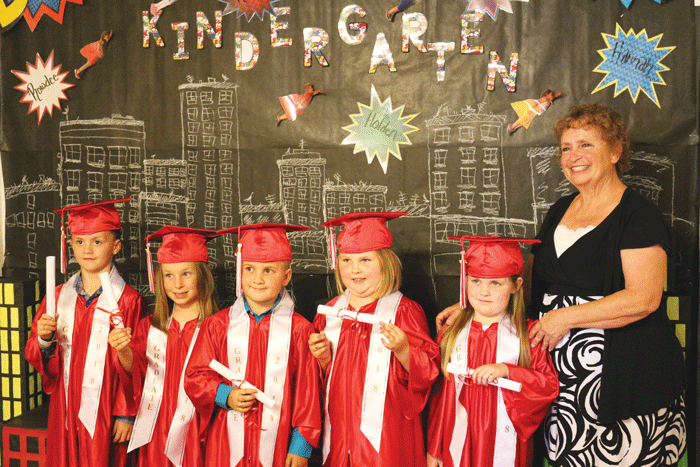 Terral recently held their Kindergarten Graduation. 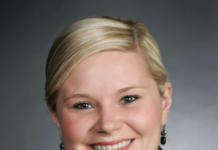 Below is their picture with their names. 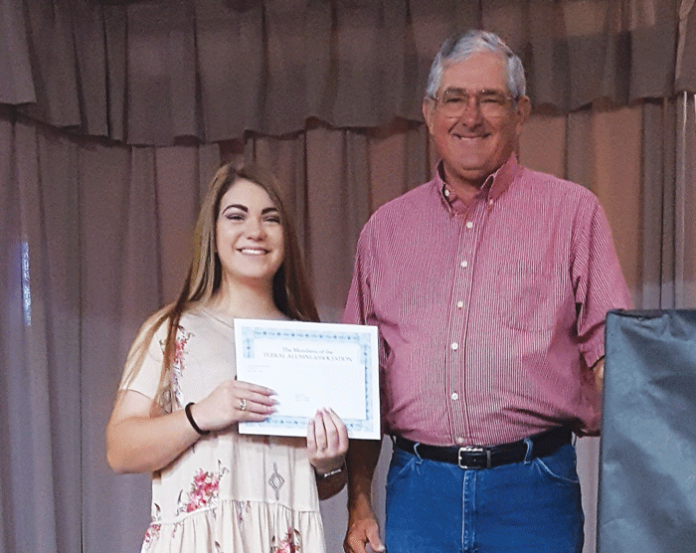 In addition, Mason Martin received the first Don Johnson Memorial Scholarship in the amount of $2,500. 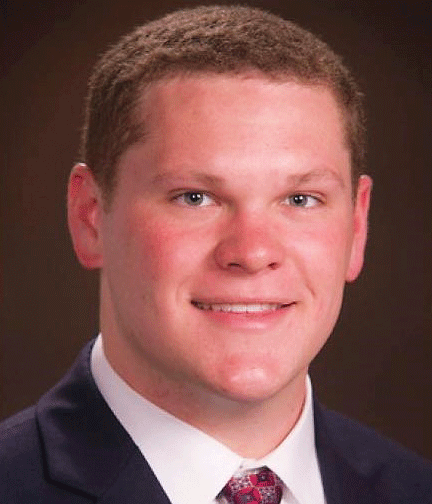 Mason will be a Senior at Oklahoma State University in the fall, majoring in Agribusiness and Agricultural Communication – dual degree. 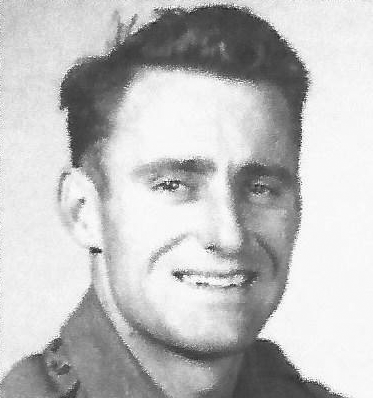 Donald Wayne Johnson (January 1, 1929 – December 1, 2016) was a resident of Baton Rouge, Louisiana. He was born in Duncan, attended school at Terral, and was a 1947 graduate of Bowie High School in Bowie, TX. This scholarship was established by his daughter, Anda Johnson, of Baton Rouge. 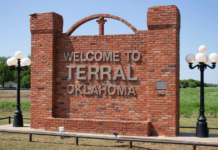 CITY WIDE CLEAN UP- The Town of Terral will have a City Wide Clean Up on April 20-21st., Friday and Saturday. Roll offs will be placed on the corner of E. Apache & N. Fourth on Friday Morning April 20th. Anyone who pays a trash bill monthly is welcome to use the roll offs. Let’s take pride in our town and use this time to clean up. HAPPY BIRTHDAY TO YOU- Clifford Duke partied on April 9th. “81” years. Rick Gambill will celebrate on the 11th. TERRAL ALUMNI ASSOCIATION Attention to all students: It is time to apply for Terral Alumni Scholarships. The following are eligible to apply: 1) Have graduated or will be graduating from Ryan High School. 2) Are attending or will be attending an accredited institution of higher learning full time, 12 hours per semester. 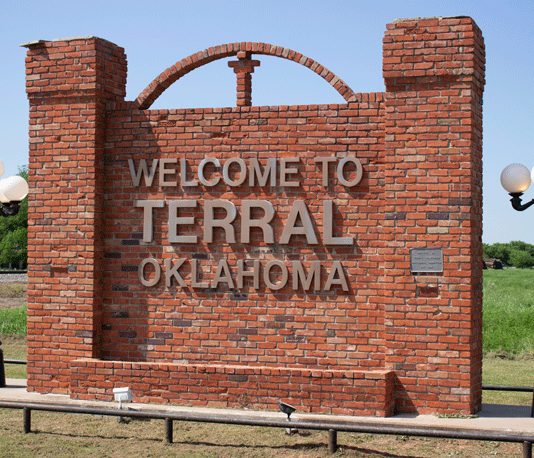 3) Reside in the Terral, Oklahoma district. Terral Alumni Association does not discriminate in its scholarship program on the basis of race. The committee will be making the final decision for the scholarships in April. The applicant receiving this scholarship must be enrolled and confirmed by the institution’s registrar before the check is mailed directly to the institution in the fall and in the spring. If you have not received a scholarship application in the mail and are interested in applying, please contact Karen Gunter, 580-437-2347.
ita Villarreal, Glen Martin, Robert Harnois, Esther Grimes, Marie Pollan, Virginia Taner, Darlene Hall, T.K. Delaney, Manuel Villarreal, Shana Reed and our military stationed around the world. May God keep you in his loving care. 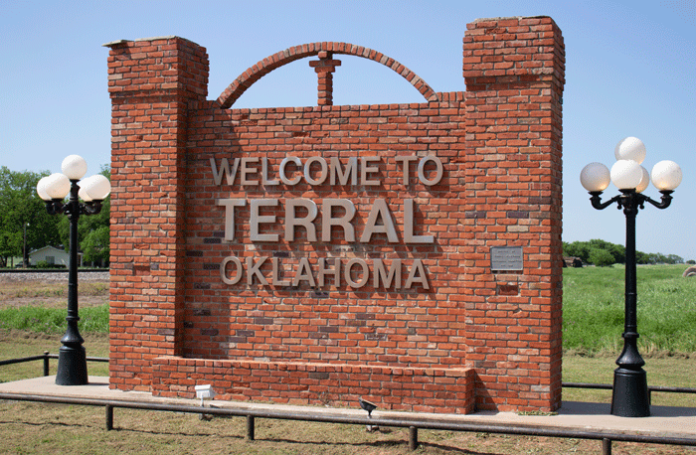 TERRAL CEMETERY DINNER- The Terral Cemetery Association will have a fund raising dinner on Sunday April 15th at the Terral Community Center. Turkey, dressing with all the trimmings and dessert will be served. Cost for the dinner are as follows: Adults $8.00 and kids 10 and under 7 $6.00. Carry outs will be available by calling 580-467-7230. All proceeds go to support the Terral Cemetery Association for the upkeep. TERRAL ANNUAL EASTER EGG HUNT- We had our annual Easter Egg Hunt last Saturday and I would like to send out a big “THANKS” to the Terral Fire Department for hiding the eggs, the First Baptist Church GA’s for stuffing the 1600 eggs and purchasing the candy, those who donated candy, those who donated their time to help in any way with our egg hunt. Please know how very much you are appreciated. Thank you Jan Campsey and Mary Alice Kunkel for taking my place while I was on vacation. I love and appreaciate you both. HAPPY BIRTHDAY TO YOU- Aceyn James Williams and Ambree Jeanene Williams turned “8” on March 26th. Hope Morgan turned “10” on MArch 27th. Jowana Bussey Duff celebrated on April 1st. HAPPY ANNIVERSARY- Brandon and LaChasley Sandfur celebrated 8 years on May 30th. QUOTE OF THE DAY – To serve oneself os pleasure, to serve OTHERS is joy,” -Sri Amma BHagavan. 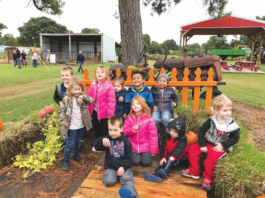 TERRAL ANNUAL EASTER EGG HUNT – Our annual Easter Egg Hunt will be on Saturday, March 31st at the Terral Indians Baseball Field at 12:00 p.m. Registration will begin at 11:00 a.m. There will be three groups: Walking to three, four to six and seven to nine years old. Make plans to come enjoy the fun. Prizes will be given to the most eggs in each category and eggs will be marked for prizes. The Terral Volunteer Fire Department will be hiding the eggs for us again this year. Hope to see you there! 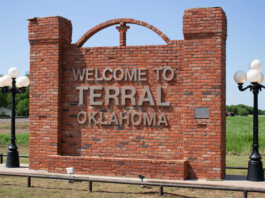 CITY WIDE CLEAN-UP – The town of Terral will have a city wide Clean-up on April 20-21st., Friday and Saturday . Roll offs will be placed on the corner of E. Apache & N. Fourth on Friday Morning April 20th. Anyone who pays a trash bill monthly is welcome to use the rolls-offs. Let’s take pride in our town and use this time to clean up. 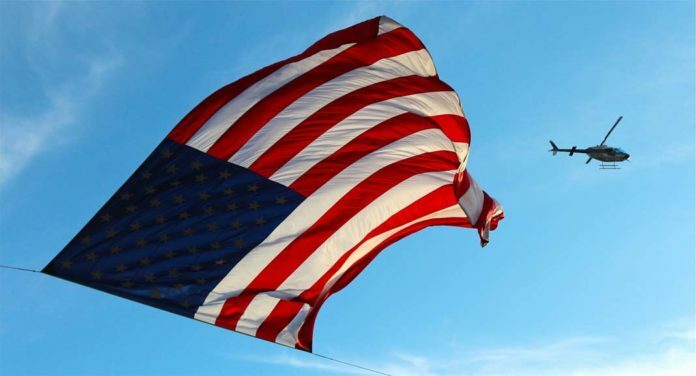 COMMUNITY PRAYER LIST- Tony Rodriguez, Brenda Bryant, Archie Fulton, Scotty Day, Tom Bayslinger, Sue Linton, Martin Villarreal , Sr., Joe Martin, Adam White, Mary Loo Duke, Florita Villarreal, Glen Martin, Robert Harois, Esther Grimes, Marie Pollan, Virginia Tanner, Darlene Hall, T.K. Delaney, MAnuel Villarreal, Shana Reed and our military stationed around the world. March 31st at the Terral Indians Baseball Field at 12:00 p.m. noon. Registration will begin at 11:00 a.m. There will be three groups: Walking to three, four to six and seven to nine years old. Make plans to come enjoy the fun. Prizes will be given to the most eggs in each category and eggs will be marked for prizes. The Terral Volunteer Fire Department will be hiding the eggs for us again this year. Hope to see ya there! HAPPY BIRTHDAY TO YOU – Valton Gambill will celebrate on the 18th. Robert Reed will have cake on the 20th. Clinton Smith will blow out candles on the 22nd. HAPPY ANNIVERSARY – Clayton and Addison will celebrate on the 25th. Darlene Hall, T.K. Delaney, Manuel Villarreal, Shana Reed and our military stationed around the world. May God Keep you in His loving care. QUOTE OF THE DAY – Never let your best friends get lonely…..Keep disturbing them. VACCINATION CLINIC – On Saturday, March 10th, we will have a Vaccination Clinic for dogs and cats at the Terral City Hall. Dr. Clark from the Jefferson County Animal Hospital will be here from 12:30 to 1:00 p.m. Prices are as follows: Dogs – Rabies $8.00, Destemper/ Parvo $15.00, Kennel Cough $10.00 and Lymes $30.00. Cats – Destemper $12.00, Destemper/Lukemia $32.00. Make plans now to get your pets’ shots. for us again this year. Hope to see ya there! Sunday morning congregation will be our judges on Sunday morning. Best of luck to all of our GA’s. and our military stationed around the world. May God keep you in His loving care.